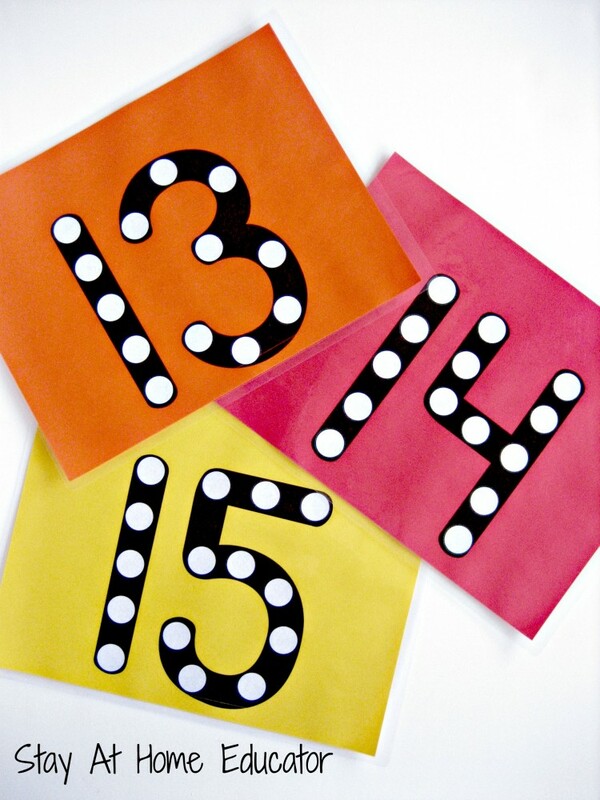 I know many of us have used dot number cards. 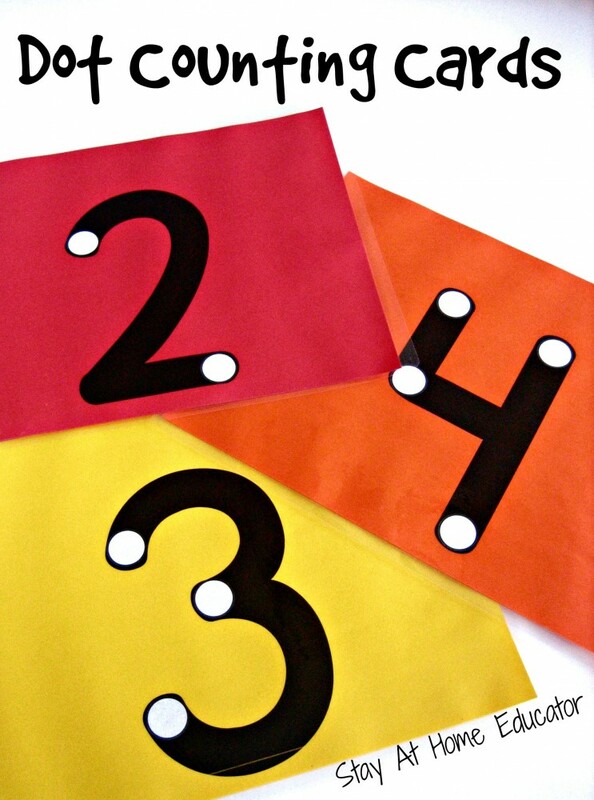 Using dot markers are a wonderful and fun way to reinforce skills in number identification. But these dot counting cards are different. 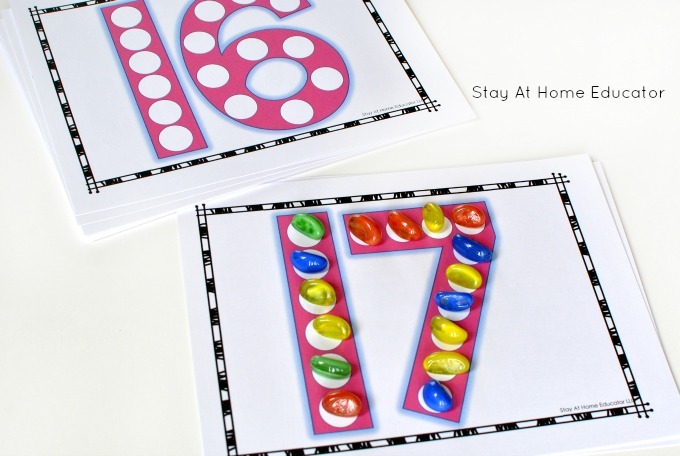 While I appreciate the dot counting cards that teach number shape, I wanted to make something that would not only help my children and preschoolers identify their numbers, but also practice one-to-one correspondence and associate the counted number with the numeral. So, I made my own set of dot counting cards. Card 15 has fifteen dots on it, card 14 has fourteen dots on it, and card 13 has thirteen dots on it. The same is true for all the numbers up to twenty. So, how do you use these cards? Well, not with dot markers. 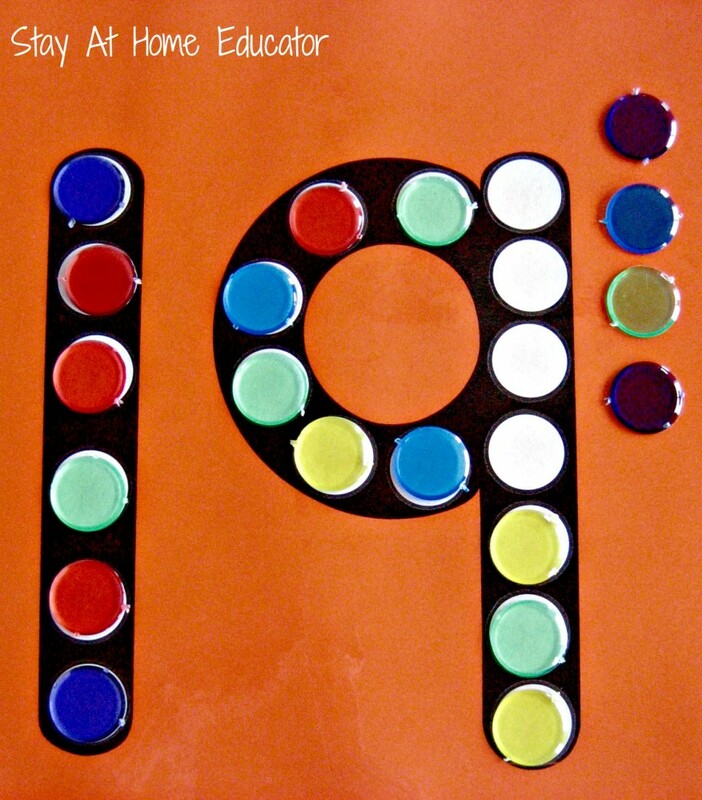 I made only once set by printing the numerals on colored paper and then add the dots with dot stickers, the kind you would use for a yard sale. Then I laminated the cards for added durability. If you are already thinking you need these cards in your preschool math arsenal, then no need to worry. You can get a printable version at the end of this post! 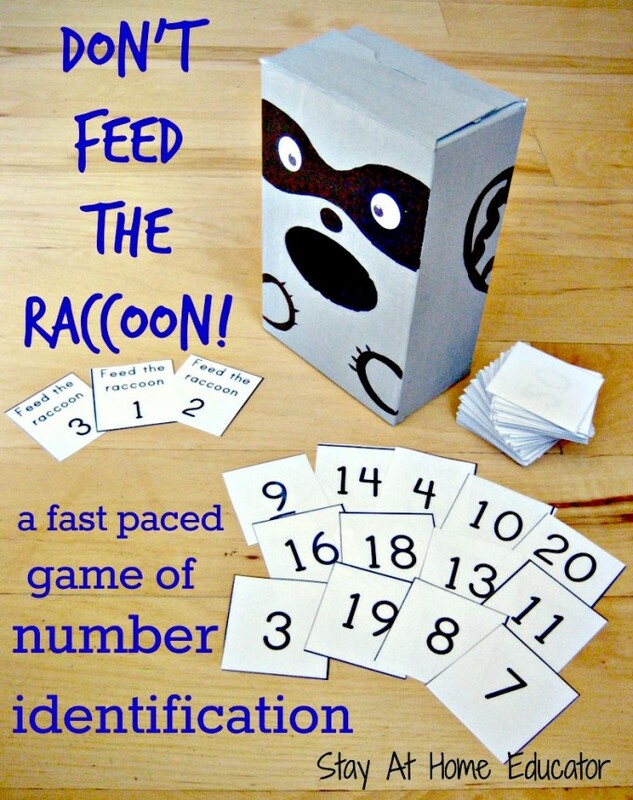 I introduced theses cards to my preschoolers with some basic math counters. You can use anything that is about the same size as the dots. Sometimes we use small, plastic chips, sometime floral pebbles, sometimes even candies. The object is to fill each dot with a single math counter, thus counting your way to the numeral on the card. I always like to emphasize that counters do not like to share dots. Once that is completed, I always ask the student what number is on their card. If they cannot identify the number, (because they simply don’t know it, miscounted or lost track of their count), I direct them to recount to get the correct number. If needed, I join in to model or assist. One thing I learned quickly with this math activity is that the larger the number is the more likely it is that that student will loose track of the counters they have already counted. For this reason, I teach my preschoolers to move the counter off the numeral once they have already counted it. This is also a good way to reinforce the physical side of one-to-one correspondence counting. In the above picture you can see Corinne moving the counters off the card as she recounts them to get nineteen. 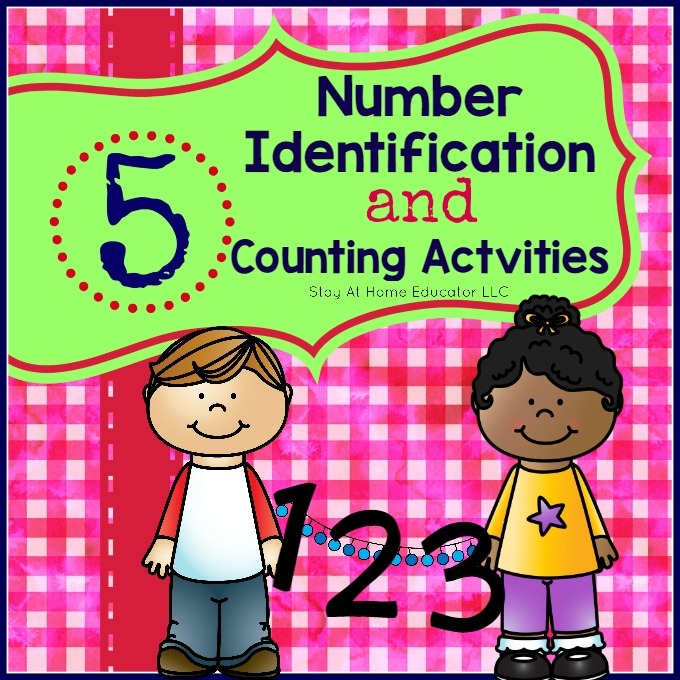 This has been one of the most beneficial counting activities for my preschoolers, especially in helping them associate the quantity of numbers with their names. 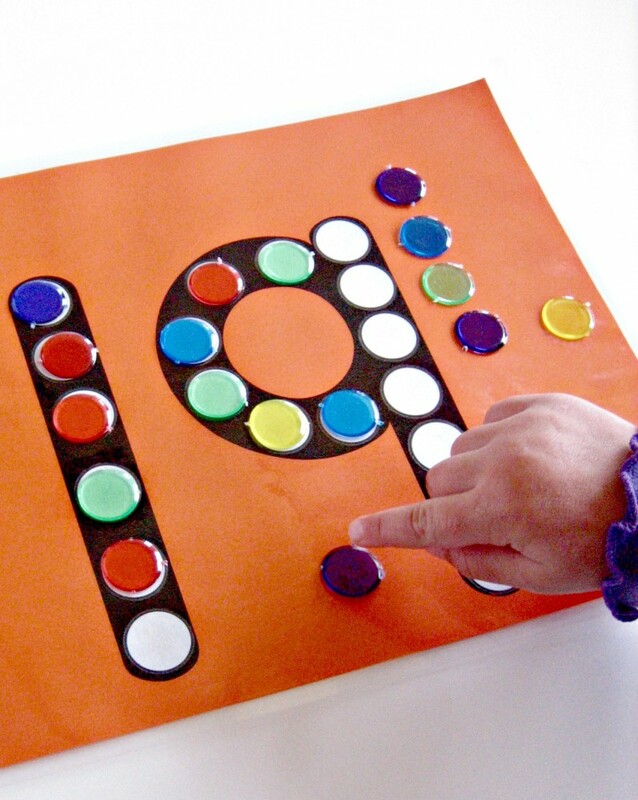 When I first introduced this activity, most of my preschoolers could not identify the teen numerals, but with these colorful cards and a bit of practice, most of my preschoolers now identify numerals to twenty. Unfortunately, my “printable” just consists of the numbers, not the dots. I’m not very good with printables, nor do I have the right programs to do them well. Maybe a project for this summer, though. I know you said you aren’t able to share this in printable form right now but I’m wondering if you could let me know what font you made them with? I want to make a set of my own! Thanks! Yes, the font is called KG Part of Me. It was a free download. I’m sure you can find it on Google. What a great idea. I’m totally going to make a set for my pre-schoolers. I looked up the font KG Part of Me and found it, however, it looked nothing like yours did. Did you modify it in any way? Thanks in advance. Glad you found something that works. Sorry for the confusion. No, I didn’t edit it in any way. That’s way too technical for me. You can try Googling “free school print font” or something like that for something similar.